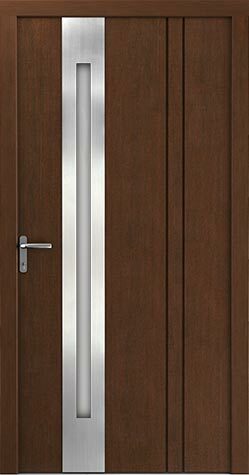 High-quality, layer-glued Meranti wood of very good technological properties. 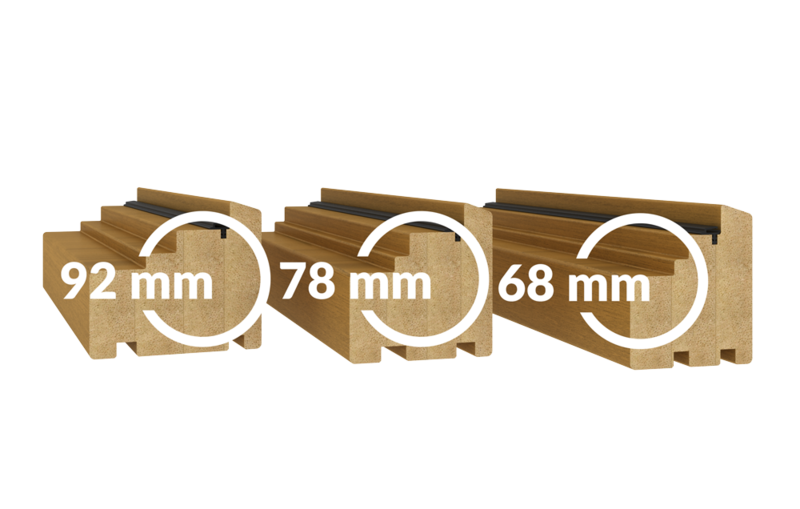 Wood with polyurethane filling, covered by 9 mm-thick modified, waterproof Okume plywood. 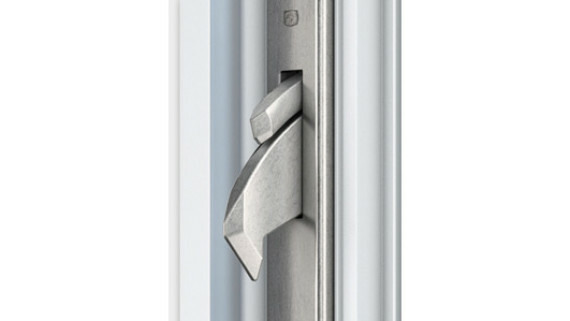 Low, made of aluminium, with thermal insert. It is possible to select threshold broadening. 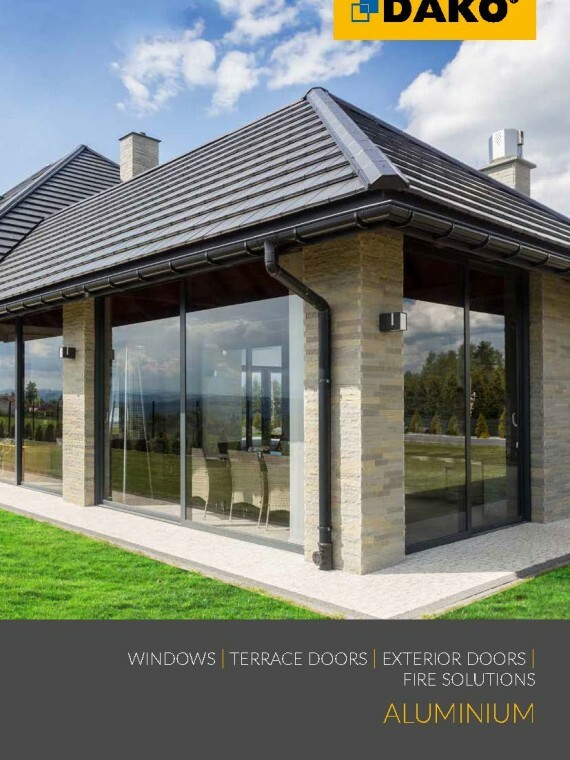 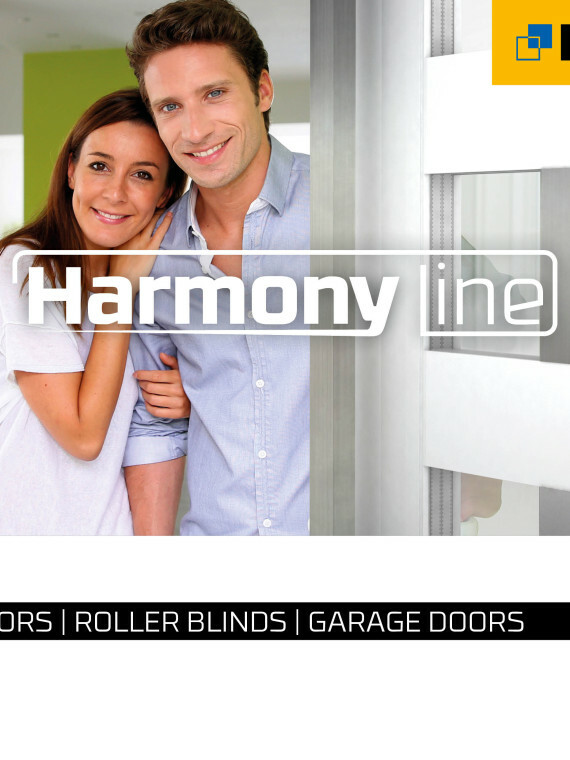 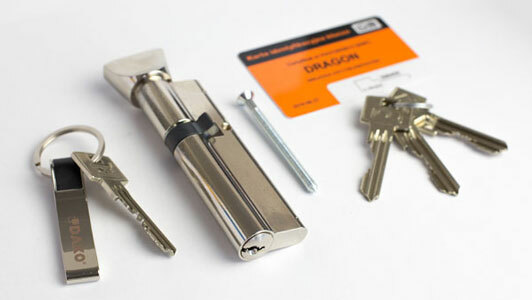 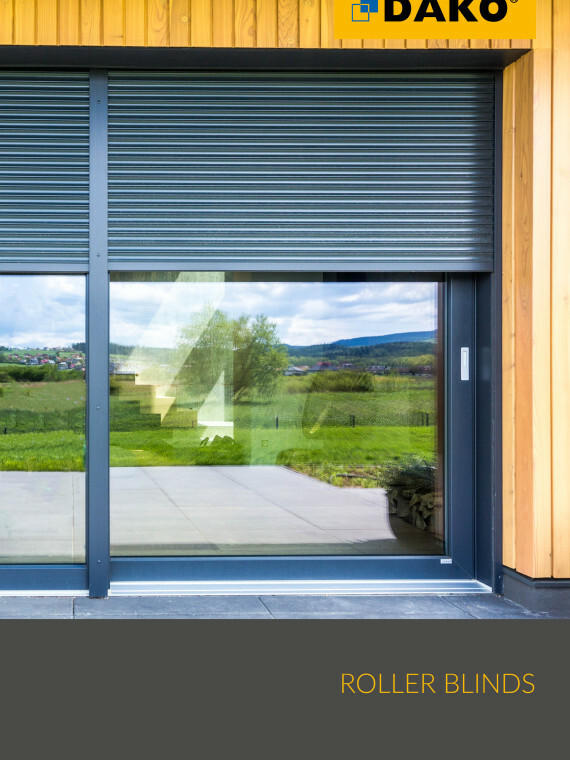 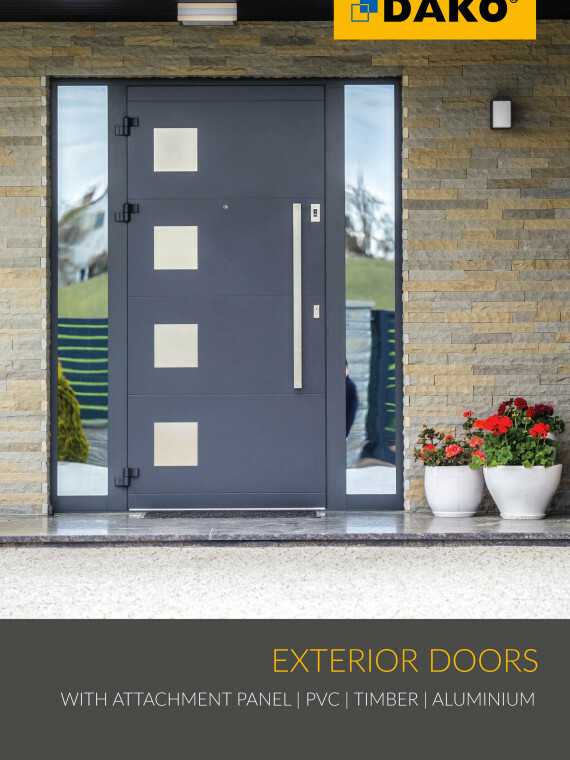 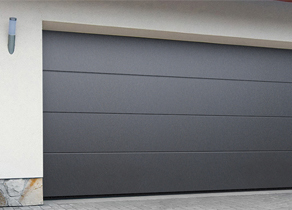 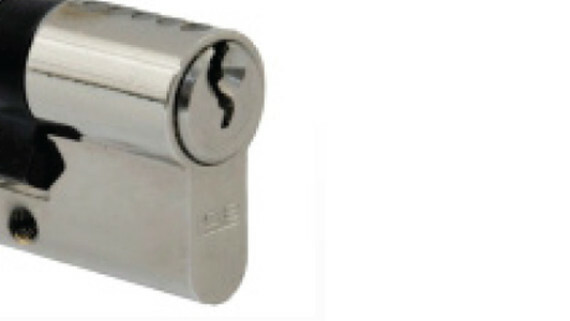 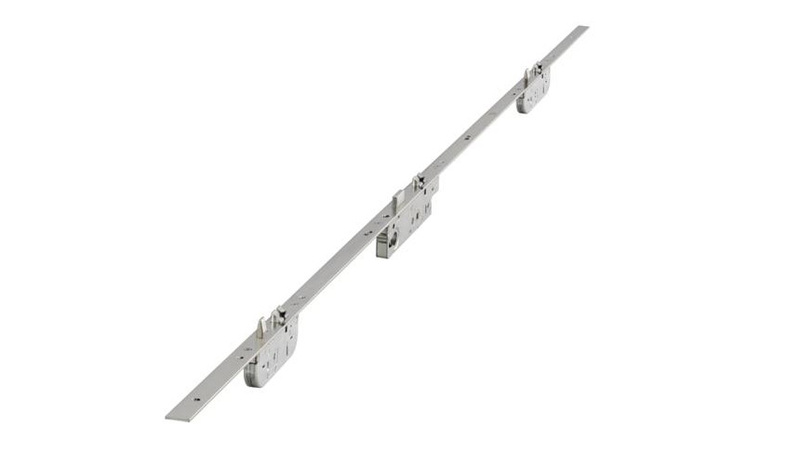 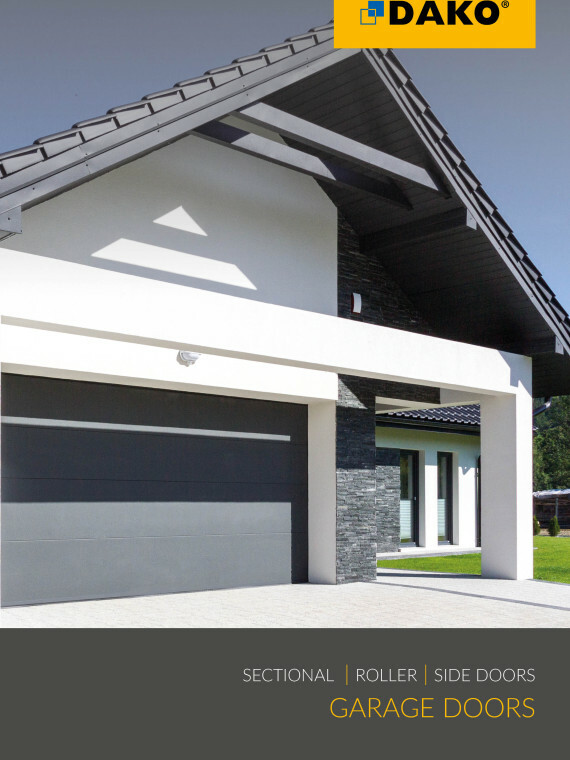 The door security, integrity and stability are guaranteed by an automatic multipoint lock system that locks the door after closing it without the necessity of using a key. 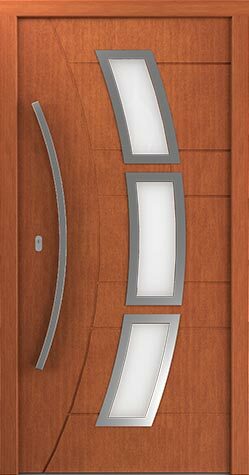 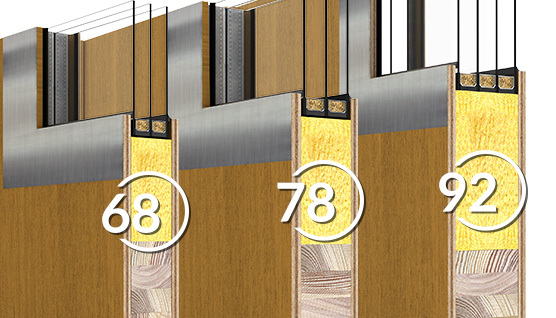 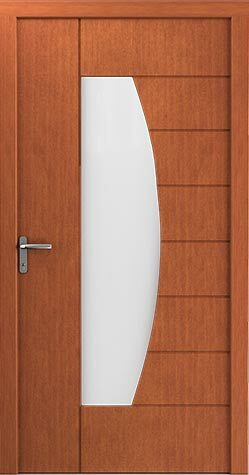 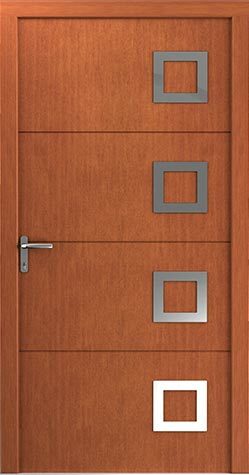 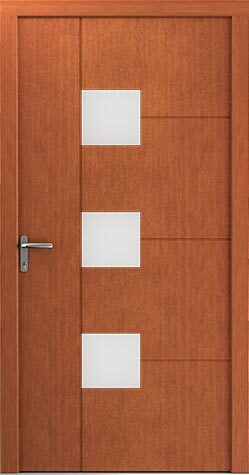 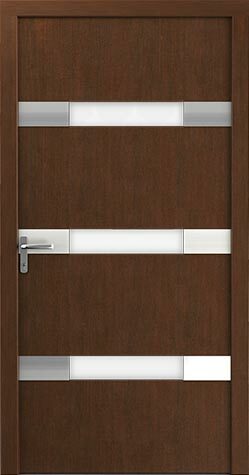 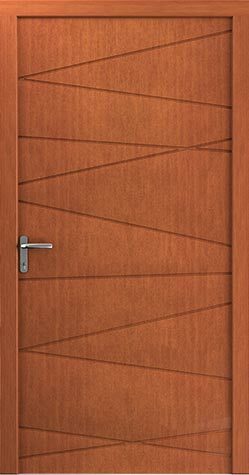 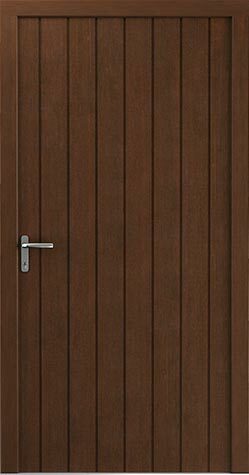 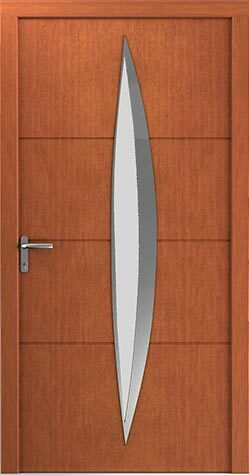 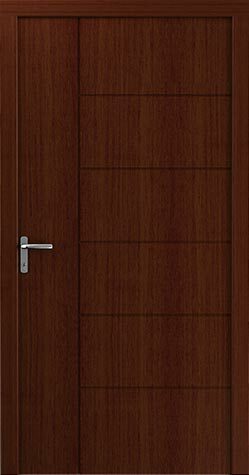 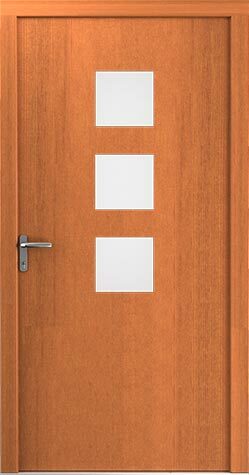 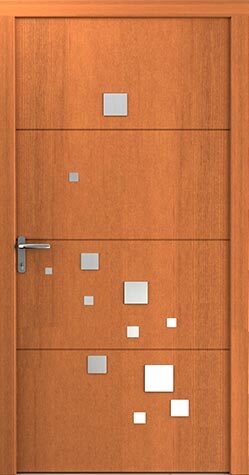 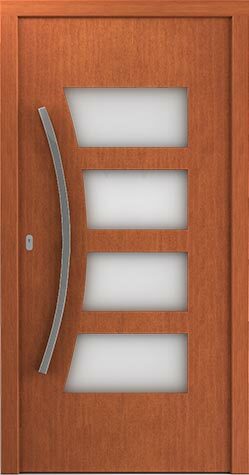 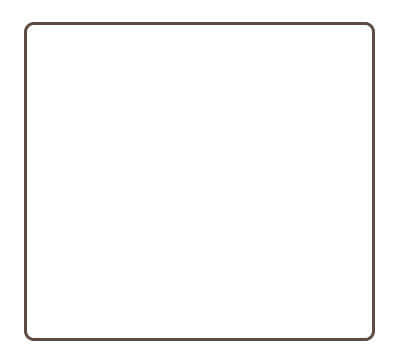 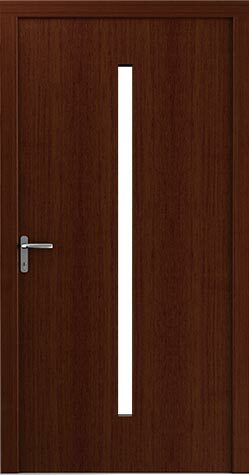 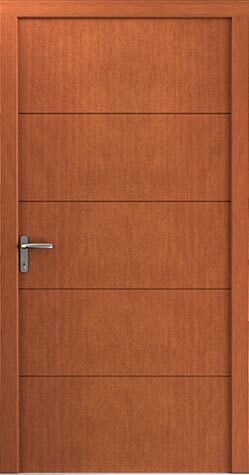 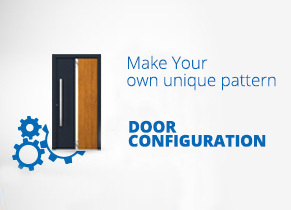 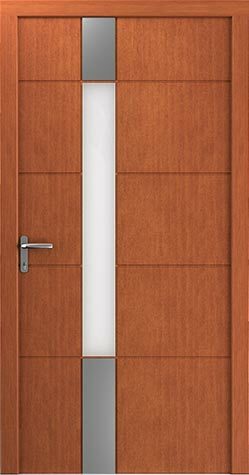 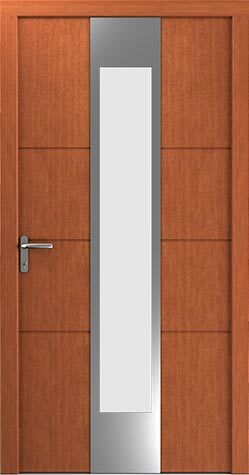 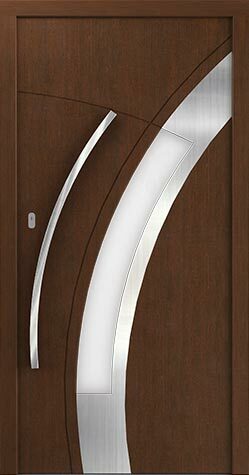 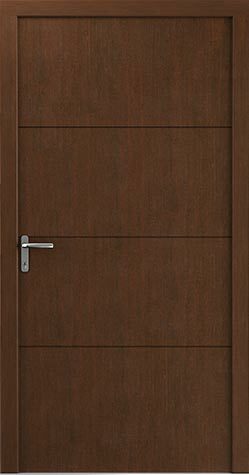 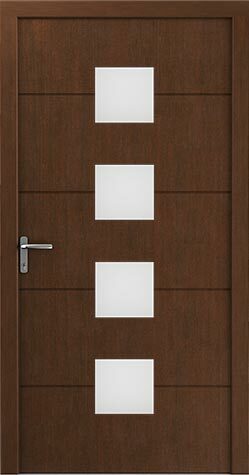 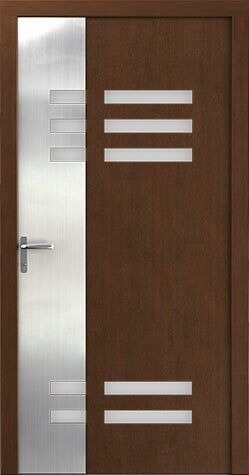 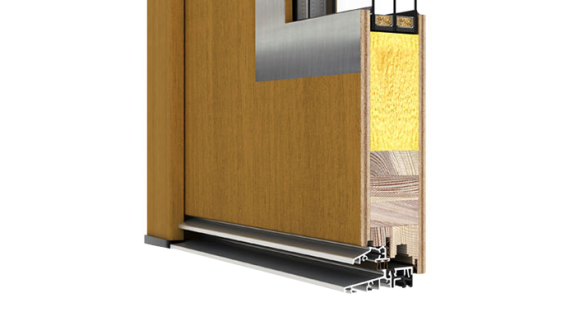 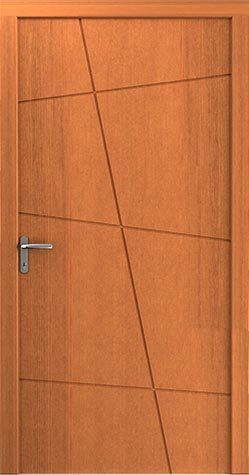 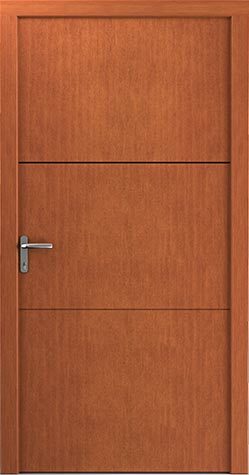 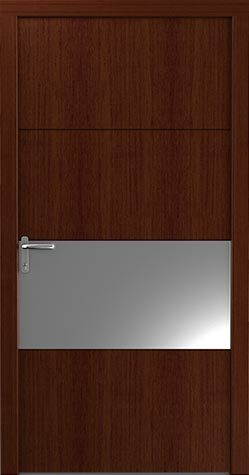 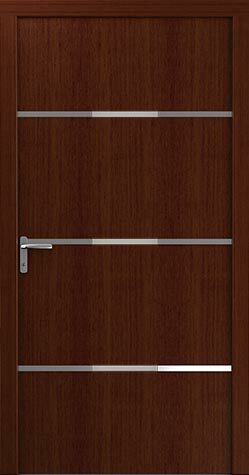 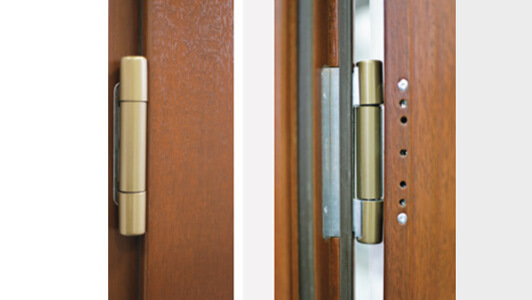 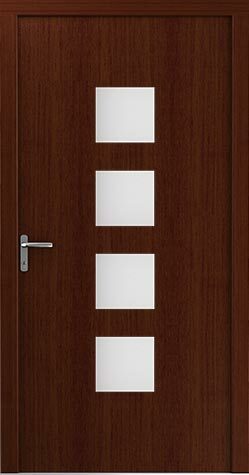 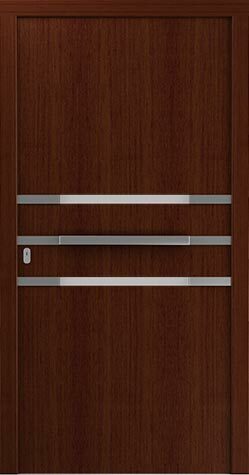 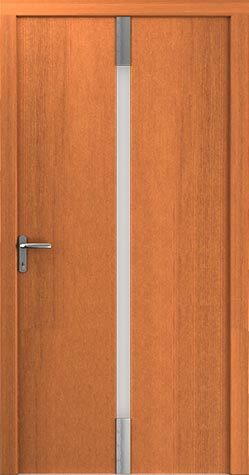 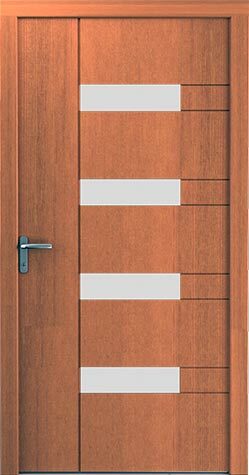 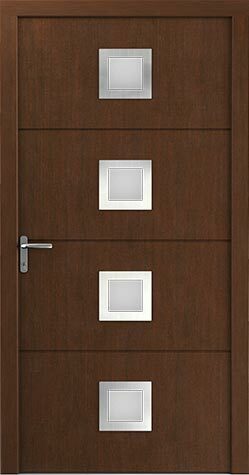 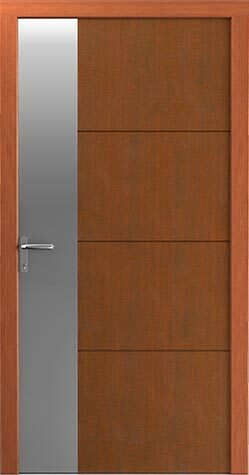 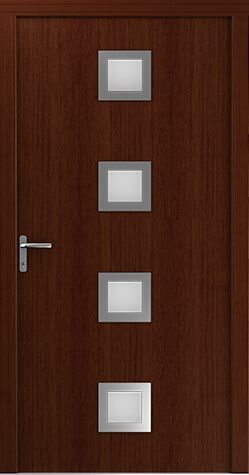 DAKO panel doors are made of high-quality Meranti wood. 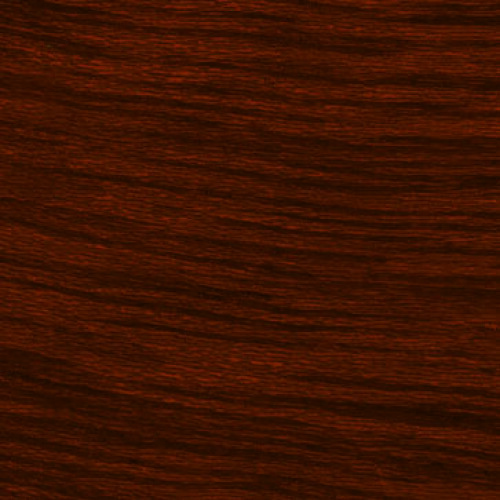 This noble wood of Asian origin, with excellent technological properties, adds prestige to the ready-made products.  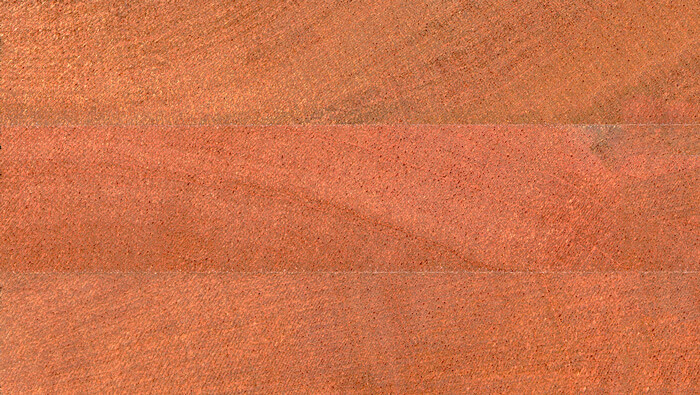 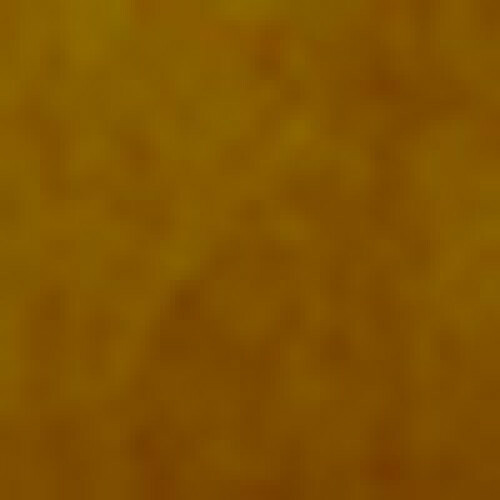 It is distinguished by an exotic pattern of grains, rare among domestic species of wood, what is one of the main reasons of its popularity. 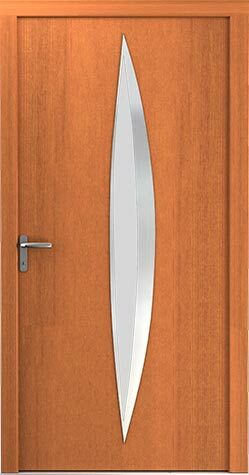 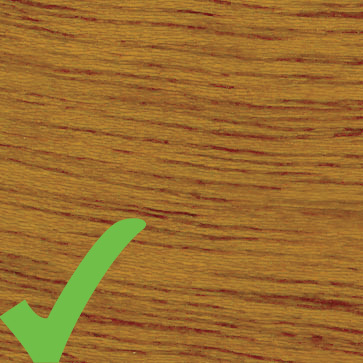 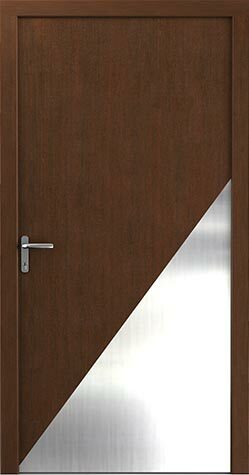 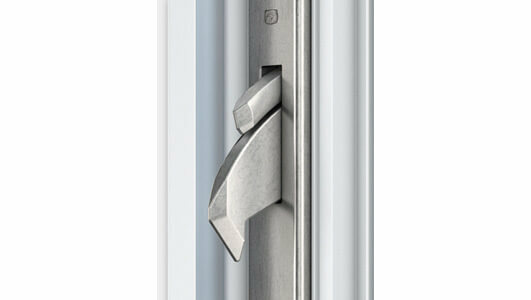 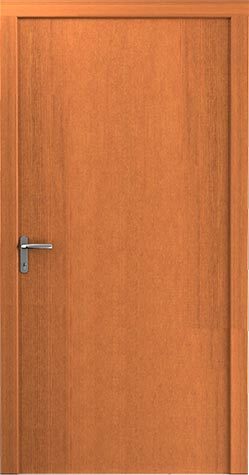 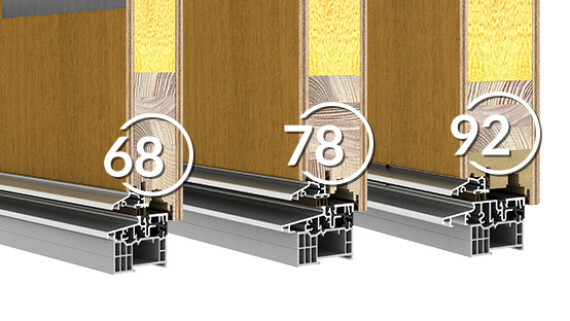 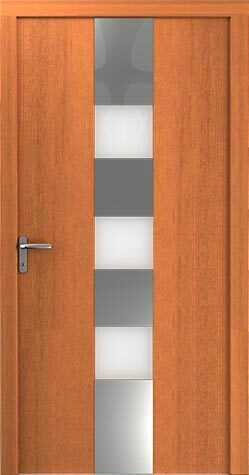 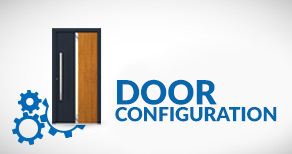 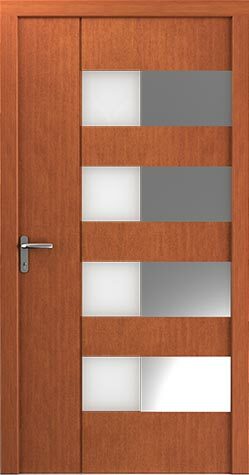 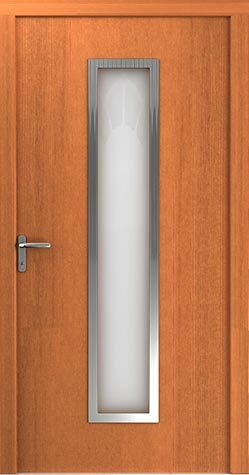 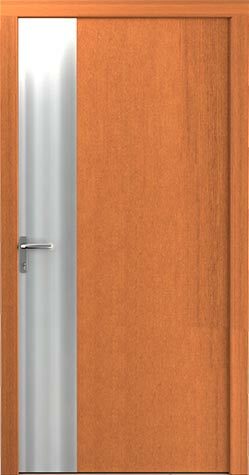 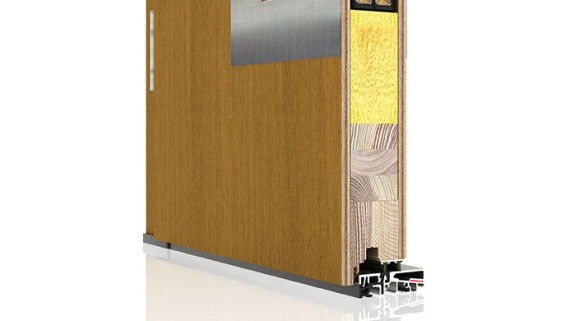 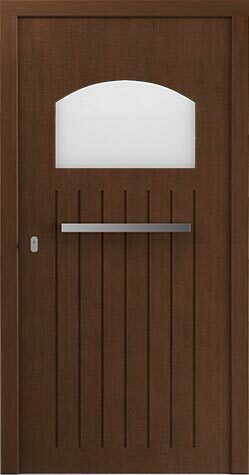 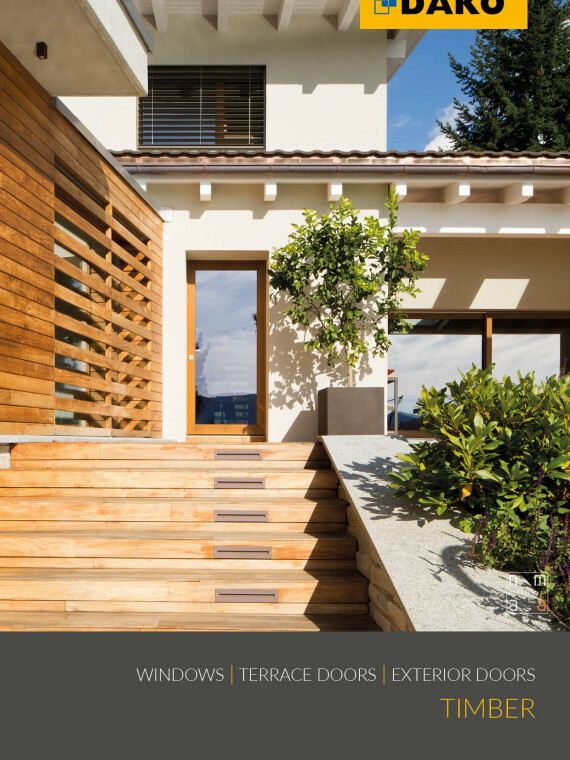 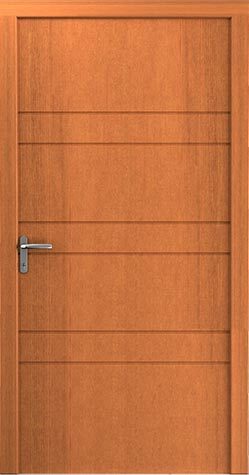 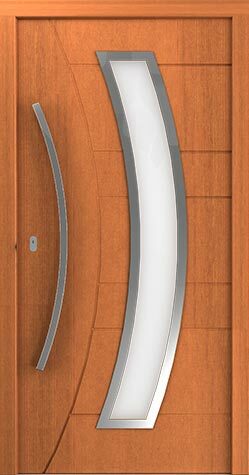 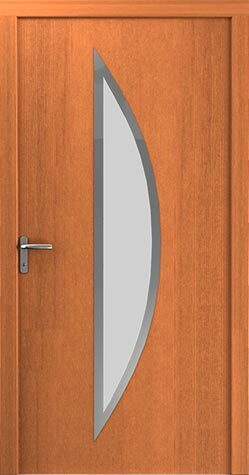 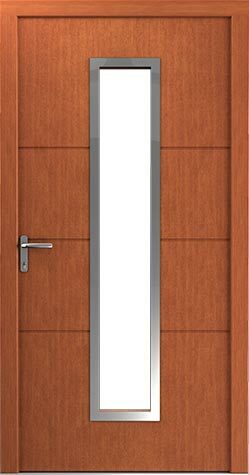 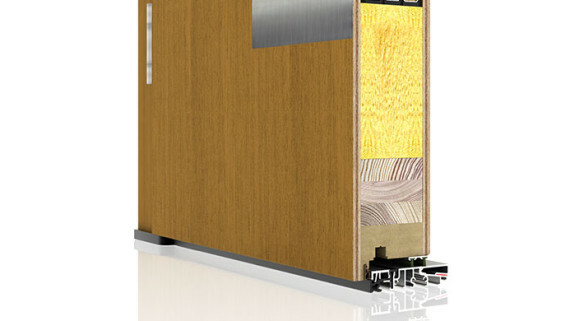 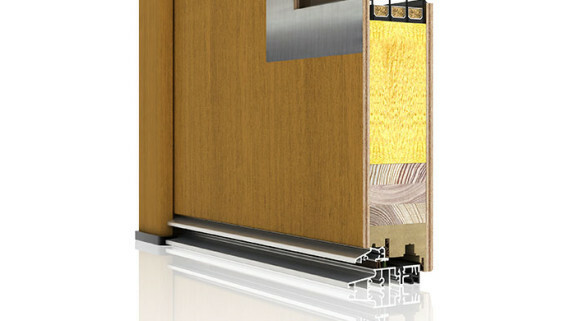 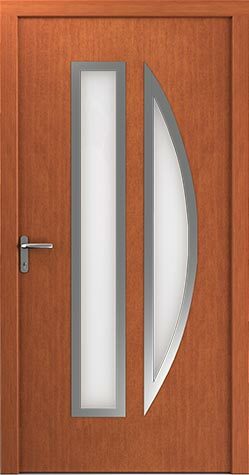 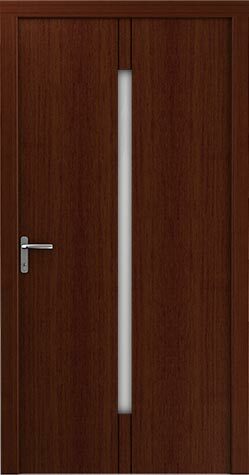 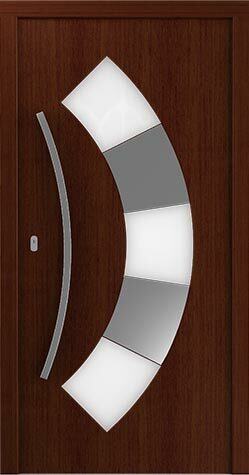 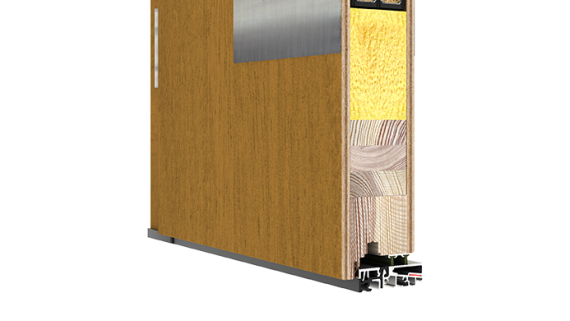 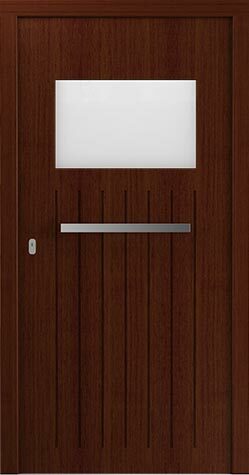 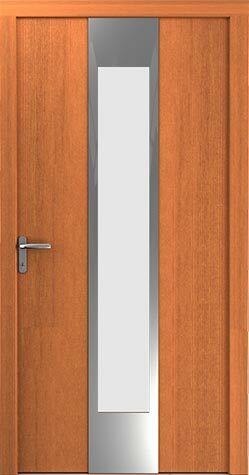 At the request of the customer the door is made of FSC® certified wood. 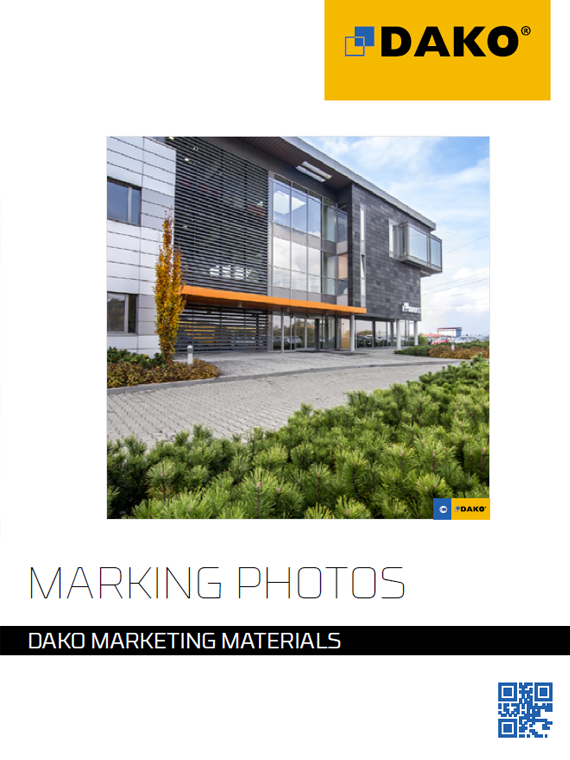 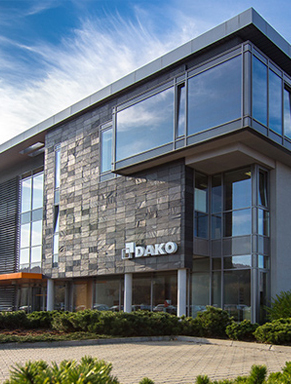 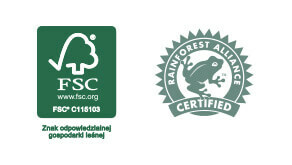 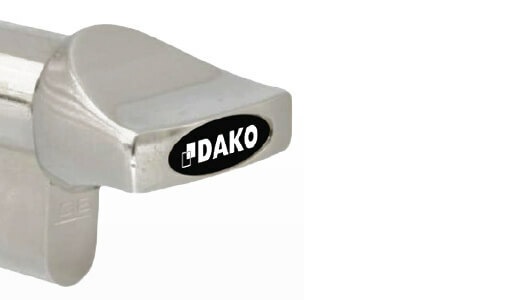 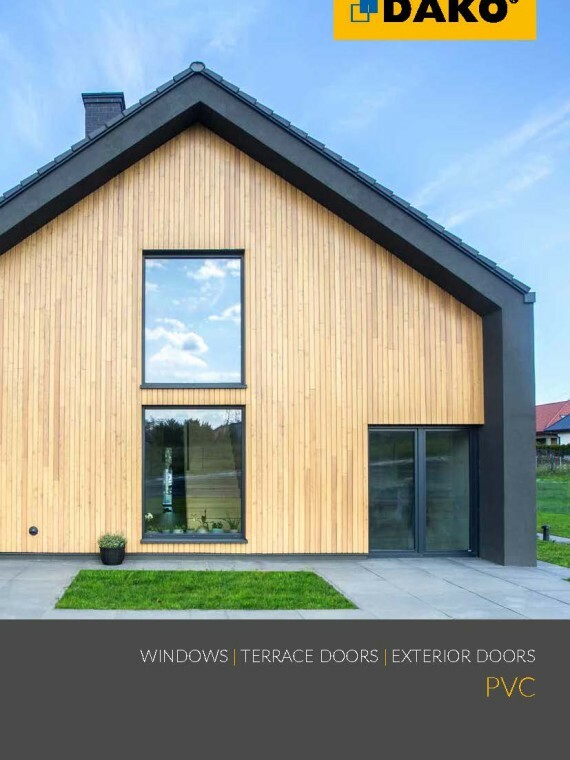 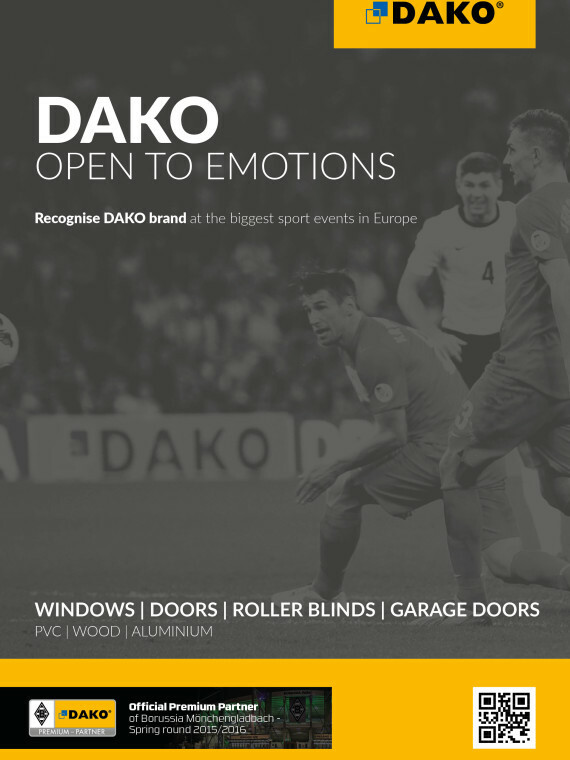 The FSC® Chain of Custody certification ensures that the raw material used for the DAKO certified windows comes from forests managed in accordance to appropriate forest management principles. 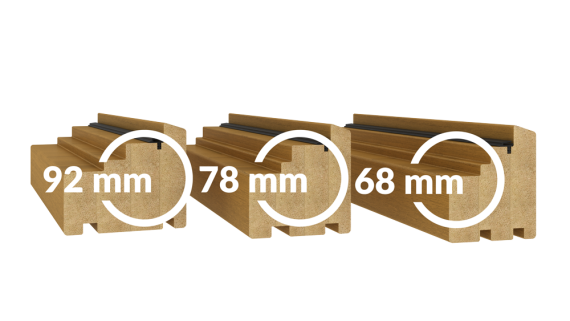 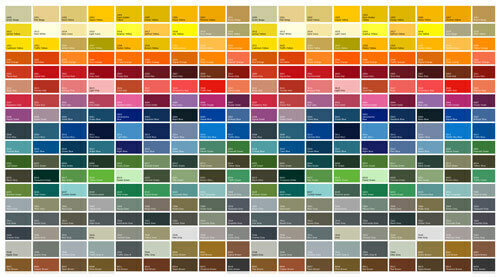   Sash colour may slightly differ from frame or fixed construction colour. 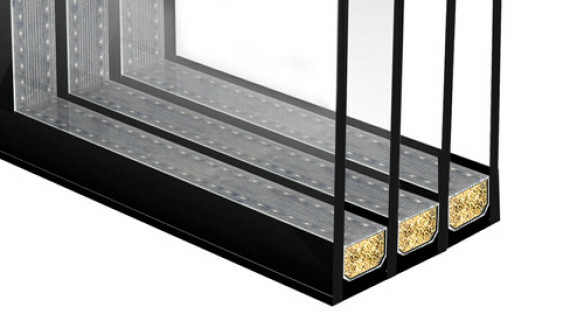 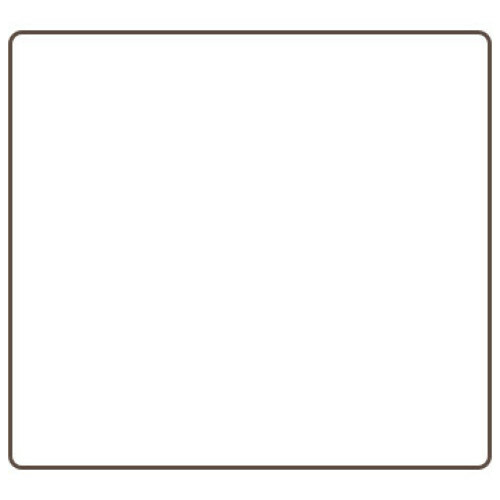 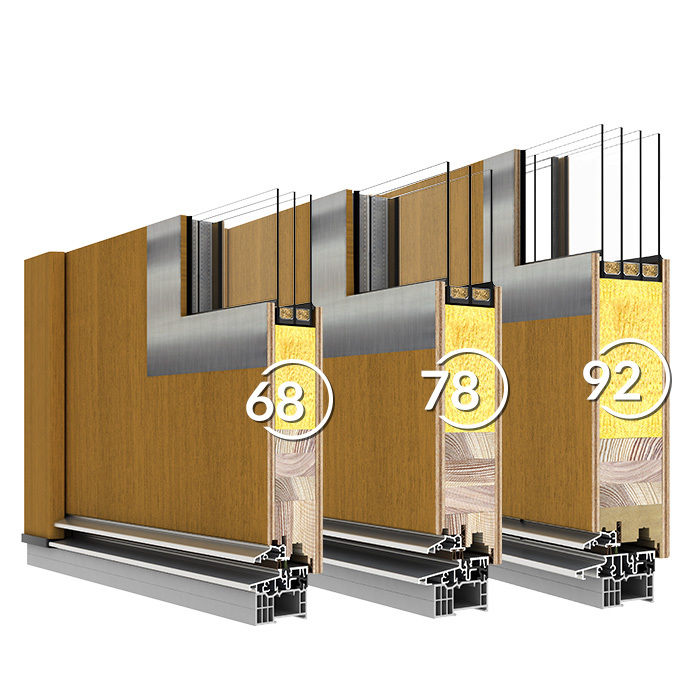 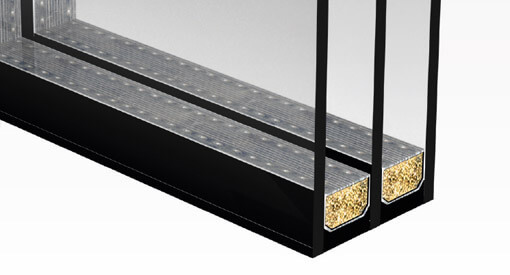 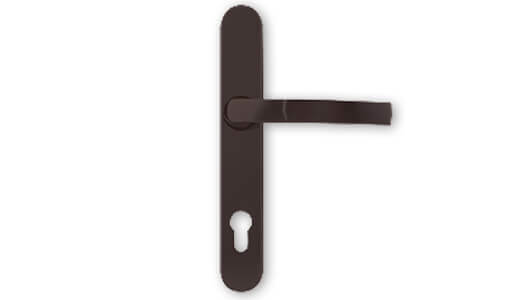 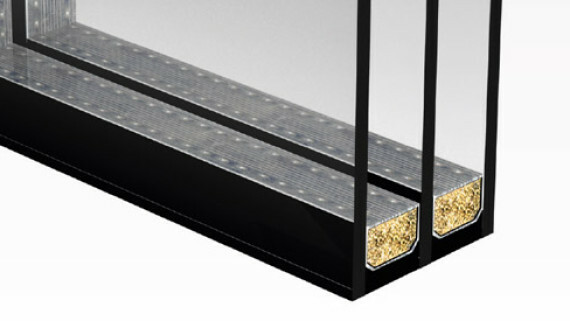 It results from products specifics, the sash is fornired and the frame is made of layered solid wood. 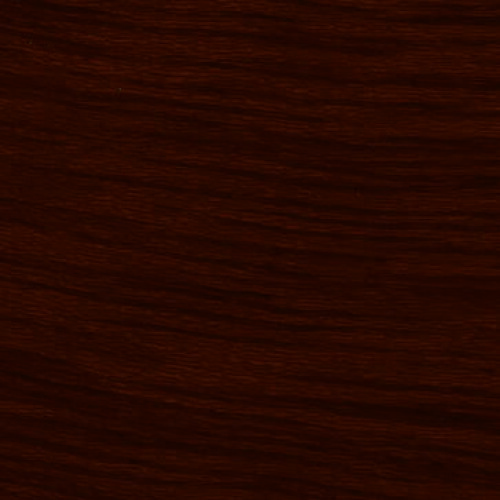 The resulted colour difference is no under guarantee.